Celebrate that special moment, when your little superstar came in to this world! 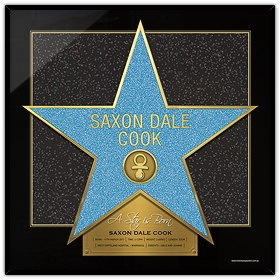 This version has a larger star and smaller name plate. You can fully customise the colour, size and icons.